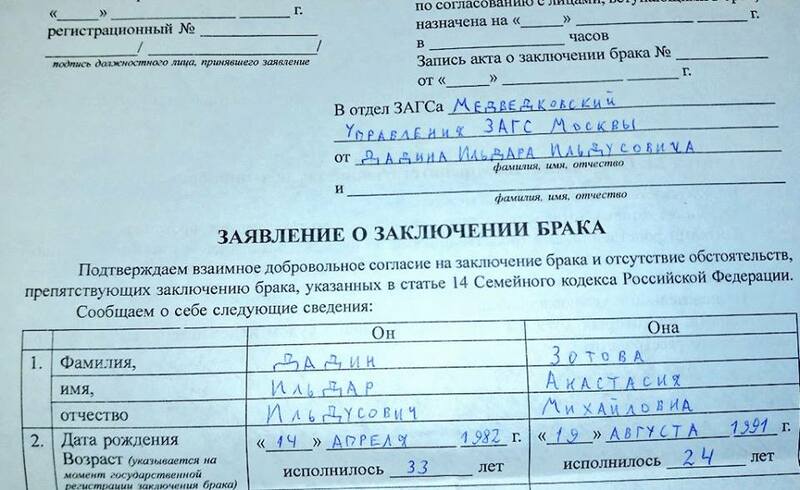 Nastya Zotova and Ildar Dadin had agreed to get married in January 2015, when Ildar was detained. Imprisoned Russia continues its publication of his fiancée’s blog. I got permission to meet with Ildar from Judge Natalya Dudar on December 30, and I went for my first short visit on January 13. A short visit is not like a date at a cafe or the movies. There is no hugging and kissing. You see each other only through the glass, and there is also a metal grille on top of the glass. Getting a “date” was not as difficult as I thought. I went to the pretrial detention facility at nine in the morning and handed over the authorization from the judge and the application form, which was printed on the same piece of paper. Then I waited until eleven for one of facility’s wardens to come. He collected everyone’s internal passports and took us to the fifth floor, where there were about fifteen cubbyholes with glass in the middle. The visit lasted two hours. You can discuss a lot in that time, both life in prison and personal affairs. Apart from me, nine other people had come for visits. Most were women, some of them with children in tow. Before the visit, a little boy showed me a drawing. Ildar was finally led in. The feelings provoked by such visits are mixed. On the one hand, there he was, my beloved one, whom I had not seen for five weeks. He was safe and sound, without a bruise on his face. The first few minutes we stared at each through the glass and smiled like fools. On the other hand, it was hard. I wanted to hug and kiss him. But talking with him through the glass was still better than nothing. I quizzed him about prison life. It turned out that the inmates were often worried about the simplest problems, which were hard to solve imprison. For example, your socks are torn. If you were at home, you would grab a needle and thread and darn them. But there are needles and thread in the detention facility. You might be able to borrow a needle, but thread is totally inaccessible and is not allowed in care packages. Or you need to write complaints and appeals in triplicate or quintuplicate. There is no printer, so you have to write everything by hand. You could use carbon paper, but for some reason it is also not allowed in care packages. The inmates entertain themselves in peculiar ways. Whereas Oleg Navalny caught pigeons, Ildar and his cellmates catch mice. They are ordinary gray mice that run under the bunks at night. To catch a mouse you need an empty milk carton. You cut a little hole and plant the bait inside. When the mouse enters the cartoon, you close the hole with your hand and then transfer the little beast to a plastic ice cream pail. They managed to catch two mice in this simple way. Ildar’s cellmates decided to put them on trial and “sentenced” them to four days in prison. They were to serve their sentence in the plastic ice cream pail. Afterwards, they planned to “release” the rodents by throwing them out a third-floor window. But the prisoners escaped by gnawing a hole in their cell. Smoking is another serious issue. There are eleven men in Ildar’s cell. Five of them are smokers, and they smoke right in bed. The others, who are nonsmokers, are not happy, to put it mildly. There are only eight beds for the eleven inmates. They take turns sleeping. According to Ildar, however, this is even a good thing, because you can borrow a second blanket from someone. Otherwise, it is too cold to sleep. It got cold in the cell on January 1, so the thermal underwear that I bought on the advice of Alexei Polikhovich, who was convicted in the Bolotnaya Square case, was a real godsend. But Ildar is warm in it only if he sleeps under two blankets. And he still has to survive the transfer to the penal colony where he will serve his sentence—in winter in a cold train car! After sleep, the second most important issue is food. Ildar admits the food is better than at the special detention center. However, the portions per inmate are not very big. It is not that he is completely hungry, but he would like more. He says that some cellmates eschew the prison food, and so the other prisons divvy up their helping among themselves. They can even warm the food up. A boiler is placed in a pot with water, and a plate with the food on it is place over the pot. The food is thus heated over a water bath. I have been trying to figure how best to fatten up my inmate through care packages. Ildar already rejected hot meals ordered through the FPS website, and then canned buckwheat kasha with meat. I don’t feel like sending him instant mashed potatoes and noodles (which in prison are called “steamers”). “I look at the prices in the FPS store and feel offended at how these thugs prey on us. I would rather eat the regulation hundred grams of soup, then shop there,” he said. This is especially because, according to Ildar, all the care packages are put in the “kitty,” to which everyone has access, so Ildar himself does not end up with so much. Ultimately, we agreed that I would cooperate with the relatives of other inmates, and that together we would buy food in bulk at ordinary stores and then pass it on to the lads in the cell, since there was a common pot there anyway. Regard the FPS store, Ildar nevertheless admitted that sometimes he wanted something sweet: chocolate, sweetened condensed milk or soda. He was very grateful to Olga Romanova for the garlic she sent him. Garlic was the best thing for you, he said, because it was full of vitamins! All his cellmates were ill, but he wasn’t. There is no shower in the cell. The inmates are taken once a week to the shower room. But there is a sink, so they can wash up and launder their clothes. As Ildar put it, the toilet is “luxurious”: there are walls on two sides, and a door on the third up to the waist. I asked Ildar how he spent his time at the detention facility, whether he had been writing complaints. Ildar admitted that he had stopped for the time being. The wardens had hinted to him as it were that if he continued, they could take it on his cellmates. “However, maybe I’ll soon have to make an important decision: to be a living scoundrel or die,” he said. Ildar did not explain what was the matter: our conversation was bugged. But he did promise in any case to send a letter, written in his own hand, indicating that under no circumstances was he planning to commit suicide. He believed this would protect him from the “accidents” that happen in Pretrial Detention Facility No. 4. Despite this eerie message, Ildar was more or less optimistic and was planning to read books. “I have a lot to learn: political science, economics . . . When I get out, we will change the country for the better,” he said hopefully. Before his arrest, Ildar said he wanted to be a lawyer and specialize in human rights. On the night of January 14, it transpired that immediately after our visit, Ildar was removed from his cell along with his things. According to the tentative information we have, he has been transferred to another cell in the same pretrial detention facility. As it turned out, Ildar has been transferred to a special cellblock in the same facility. (Meaning greater scrutiny from the wardens and better living conditions.) Meanwhile, our marriage application is ready to submit to the registrar.